Caterpillars go through one of the most incredible transformations in nature. They change from little larvae crawling along the ground to exquisite creatures with colorful wings flying among the flowers. 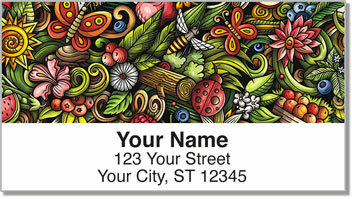 Now can bring that same sort of change to your letters and packages with this brilliantly beautiful address label design. Sketches of butterflies portray a sense of innocence and new beginnins with vivid colors and splatters of paint. 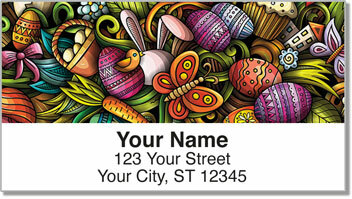 Your outgoing mail will certainly stand out, but what is even better is how easy preparing all of it will become. 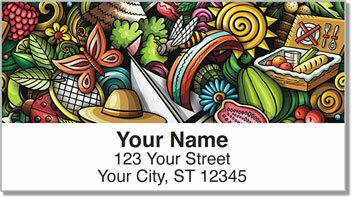 You'll never have to write out your name and address ever again. Simply peel, place and move on! 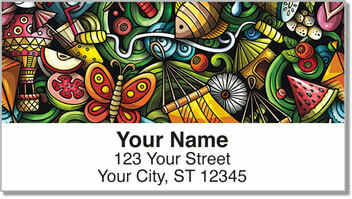 Get your very own Butterfly Sketch Address Labels today! Add some matching personal checks to make it complete!